postage & packing. Available in S, M, L & XL. CAPS adjustable £8.90 inc. postage & packing. 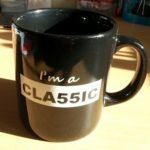 MUGS, £6.00 inc. postage & packing. 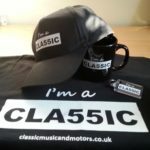 *LIMITED OFFER when purchasing a T-shirt, Cap or Mug you will receive 4 Classic Motor Show Coasters. 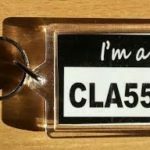 We have a range of signed items in our merchandise store from famous musicians, entertainers and actors including Michael Caine, Ricky Gervais, David Essex, Mel C and many more. Make us a sensible offer, above the list price and they could be yours. All proceeds go to Breast Cancer Care. Contact us on: 07841 598076 or email us below with your offer and the item could be yours! 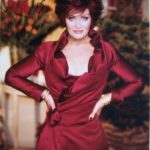 Signed photo from Sharon Osbourne. The proceeds of this item will go to the Breast Cancer Care Charity. Signed Book ‘Flight from Deathrow’ by top comic Harry Hill. 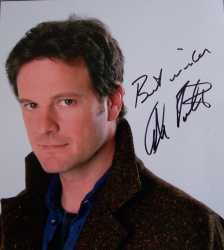 Colin Firth, the Oscar-nominated and Bafta Award winning English lm, television, and stage actor. Firth rst gained wide public attention, especially in the United Kingdom, for his portrayal of Mr. Darcy in the 1995 television adaption of Pride and Prejudice. He subsequently achieved lm stardom with the international box-office success of Bridget Jones’s Diary (2001), where he co-starred with Renée Zellweger and Hugh Grant. On February 2, 2010, he received an Academy Award nomination for his work in A Single Man, for which he won the BAFTA for Best Actor. Colin has was in the hit lm Mamma Mia. 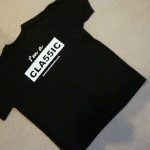 The proceeds of this item will go to the Breast Cancer Care Charity (Reg No. 1017658). Former Prime Minster, Gordon Brown donated a No. 10 Downing Street Parker Pen with a letter from his PA, with best wishes from the Prime Minster. 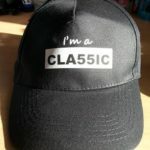 The proceeds of this item will go to the Breast Cancer Care Charity (Reg No. 1017658).